If you do not already know what the turbo-encabulator is, please see the following two-minute-long video. The turbo-encabulator is hilarious, and as a somewhat tech-savvy person myself, some of the words used just confuse me and pass over my head. It seems to be a mix of real words, fake words, and words used way out of context. I decided to look up every single word I didn’t know, and I have to admit, the turbo-encabulator is significantly funnier than I had previously understood before. For a number of years now, work has been proceeding in order to bring to perfection the crudely conceived idea of a machine that would not only supply inverse reactive current for use in unilateral phase detractors, but would also be capable of automatically synchronizing cardinal grammeters. inverse reactive current: While current has reactive power, the concept of inverse reactive current doesn’t make any sense. unilateral: Can be used out of context to mean “affecting only” as an adjective, so “affecting only phase detractors”, but that really makes no sense, especially not as an adjective. …but would also be capable of automatically synchronizing cardinal grammeters. grammeter: A unit of one gram per meter. synchronizing cardinal grammeters: Given the last two definitions, this means: synchronizing a fundamental unit of measurement. The turbo-encabulator is able to synchronize an important unit of measurement—that’s impressive! Such a machine is the “Turbo-Encabulator.” Basically, the only new principle involved is that instead of power being generated by the relative motion of conductors and fluxes, it is produced by the modal interaction of magneto-reluctance and capacitive directance. relative motion of conductors and fluxes: This isn’t too far off, as motion of charged conductors can produce magnetic fluxes, but still—doesn’t really make any sense as it is in the sentence. …it is produced by the modal interaction of magneto-reluctance and capacitive directance. modal interaction: This isn’t a thing. magneto-reluctance: A magneto is a small electric generator containing a permanent magnet, and reluctance is a property of a magnetic circuit, so it kinda makes sense but not really at all. capacitive: This word, funnily enough, exists today, but didn’t exist in the 1940s when this was written. Today it refers to technology that uses a medium’s capacitance as an input, but back then, nope. directance: This simply isn’t a word. The original machine had a base-plate of prefabulated aluminite, surmounted by a malleable logarithmic casing in such a way that the two main spurving bearings were in a direct line with the pentametric fan. The latter consisted simply of six hydrocoptic marzlevanes, so fitted to the ambifacient lunar waneshaft that side fumbling was effectively prevented. aluminite: Aluminite is actually a thing! Although base plates are typically metallic, and aluminite is a crystal, this existing actually surprised me! surmounted: Surmounted is a word that means: to be placed on top of, and is actually being used correctly. 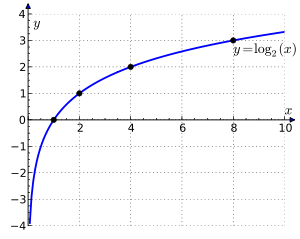 logarithmic casing: A logarithm is a common function in mathematics, but logarithmic casing just makes no practical sense. malleable logarithmic casing: Malleable means that it is able to be moved out of shape, which begs the question: what’s the point of a logarithmic casing if you can just bend it out of shape? And what’s even inside of this malleable casing that is on top of the base plate? spurving: The only word this could come from is “spurve”, a nickname for the bird “sparrow”. …were in a direct line with the pentametric fan. pentametric: Pentametric is a word… relating to a line of verse consisting of five metrical feet, used only in poetry. pentametric fan: Perhaps the fan has a good, poetic rhythm? hydrocoptic: Coptic is the language of the Copts, a Christian denomination that exists in Egypt. Hydro is a prefix meaning: relating to water. Whatever hydrocoptic means is truly beyond me. marzlevanes: marzle isn’t a word, and a vane, according to Google, is a broad, flat projecting surface designed to guide the motion of a projectile, such as a feather on an arrow or a fin on a torpedo. Good luck parsing hydrocoptic marzlevanes. ambifacient: Ambi- is a prefix meaning “both”, and “facient” means: producing a specified action or state. Together, they don’t exist. lunar waneshaft: Lunar means relating to or resembling the moon. Wane is a verb relating to how the moon apparently shrinks in size as the month goes on. And shaft could mean light that shines in beams. So I guess a lunar waneshaft is light that comes from a waning moonlike object…? The problem is, how can something physical—like six hydrocoptic marzlevales—be fitted to beams of light? …that side fumbling was effectively prevented. side fumbling: Can’t have that side fumbling. The main winding was of the normal lotus-o-delta type placed in panendermic semi-boloid slots in the stator, every seventh conductor being connected by a nonreversible tremie pipe to the differential girdlespring on the “up” end of the grammeters. winding: Hold up. Where did this winding come from? What are we winding? normal lotus-o-delta: There’s nothing normal about the non-existent lotus-o-delta type of winding. panendermic: Pan is a prefix meaning everything, and endermic means acting through direct skin contact. Doesn’t really fit together. semi-boloid: Yup, you guessed it: boloid isn’t a word. stator: The stator is the stationary portion of an electric generator or motor, which actually kinda maybe works in this context? nonreversible tremi pipe: A tremie is a concrete placement method using a pipe. How a tremie pipe can be nonreversible, or what that even means, is beyond me. differential: A word used to describe some functions in mathematics. girdlespring: To girdle can mean to surround. A spring that surrounds…? …on the “up” end of the grammeters. Undoubtedly, the turbo-encabulator has now reached a very high level of technical development. It has been successfully used for operating nofertrunnions. In addition, whenever a barescent skor motion is required, it may be employed in conjunction with a deep drawn reciprocating dingle arm to reduce sinusoidal depleneration. Undoubtedly, the turbo-encabulator has now reached a very high level of technical development. It has been successfully used for operating nofertrunnions. barescent: -escent is a suffix that forms adjectives denoting a developing state or action, such as “fluorescent” which means: having or showing fluorescence. bar- as a prefix, is Aramaic for son, or pure. So maybe having or showing purity? skor motion: I doubt the original publisher was aware of this meaning, but skor can mean shoe. drawn: Drawn typically means extracted in techno-speak. reciprocating: Means moving backward and forward in a straight line. dingle: The only thing “dingle” means is a deep wooded valley or dell. deep drawn reciprocating dingle arm: With the above definitions in mind, please tell me what a deep drawn reciprocating dingle arm is. sinusoidal: A mathematics curve showing smooth oscillations—basically a curve that endlessly goes up and down. depleneration: The only possible meaning depleneration can have is as a mix of “deplete(d/ing)” and “regeneration”, which would mean a regeneration that decreases over time or something o_O How that can be sinusoidal is again, beyond me.